I would like to thank you and Peter, David, Don and the rest of your staff for such a trouble free experience in my dealings with Ozsun. I am reminded of earlier and more pleasant times in the building industry when, as in your case, dealings were pleasant, fair and promises were kept. If it is of help in the future, I would be happy to speak to any of your potential customers who may be seeking a reference on your services. Just ask them to phone me at the above number. Thank you for advice and for the production of a quality job that is efficient and very workable. Your company has now installed three awnings in the residence of my wife, Danielle Schlanger, and self. I would like to commend your organisation. Horst is a very affable, and cooperative, representative; whilst the gentlemen who have installed the products are very efficient and courteous. The products are self-evidently excellent. Please be assured that I will recommend your company to clients, colleagues and friends. Keep up the good work!!!! Recently we had some Sunscreen Roller Blinds installed at our unit in Balmain. We are very pleased with the result and are writing to express our satisfaction. Scott, who installed the blinds for us was friendly, helpful and professional. It was a pleasure to have him in our home. We would be very happy to recommend your firm, your products and the excellent service extended to us. Just a note to thank you so very much for the beautiful blinds that went up last week. We are thrilled with them, and very much appreciate your meticulous attention to detail in measuring and making them up. They’re perfect! (And that is a very rare thing). Thank you for such good service from our first contact until our blinds were installed, excellent service. Can you please pass this on to your company. Just wanted to let you know how happy we are with the awning. It looks great and is really a fantastic addition to the house. Very happy we went with the motorised control. Colour of the fabric is great. Thanks again for great service. I will be recommending you to anyone who is keen for an awning! Please find attached our cheque for $5697.00 being balance of payment for awnings installed yesterday. We would like to thank you for the professionalism of all your staff and especially please pass onto Laurie, Jim & Kieran our sincere thanks for their pleasant attitude and quality workmanship – it is hard to find these attributes these days. The awnings look and operate perfectly and we will have no hesitation in recommending your company to our friends. Please find attached authority to debit my CC for the balance of the now finished job. I would like to thank you for your great customer service. We are very happy with the end result, your sales person Grant was very helpful as were the installers. 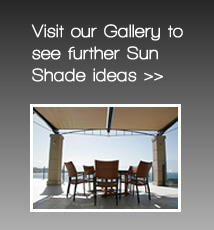 I will be recommending your Company/product to anybody who may be looking for an awning. Just a note of thanks!!! Firstly for supplying a great products, which fitted and functioned correctly the first time,… always a bonus, usually a luxury these days. They even called to say that because of traffic they were running late !!! Secondly, and more importantly, thank you for sending a pair of articulate , courteous, well mannered, tidy, intelligent and competent installers/tradesman. That happens for rarely theses days that it is worth commenting upon. They were excellent and I would appreciate if you could mention my comments to them. So few people take such pride in their work… they are an asset to your business and a terrific advertisement for it too. I would be more than happy to recommend Ozsun to anyone, a very professional outfit indeed. How Awnings Can Make Your Home More Sustainable.